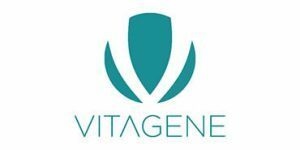 If you would like to explore your genetic health and wellness, as well as other traits influenced by your DNA, you may want to know whether Vitagene or TeloYears is a more suitable choice for you. While they are both good companies with stellar reputations, they do not offer the same tests or health reports. When choosing a DNA testing company, it is important to clearly define what you are looking for and choose accordingly. In the table below, you can compare these two DNA testing providers, viewing their offers side by side. This can help you easily and quickly decide whether Vitagene or TeloYears meets your expectations and delivers the data you are interested in. TeloYears is a unique genetic test designed to measure the average length of your telomeres, calculate your genetic age, and give recommendations for improving your health and general wellbeing. Back when I first ordered the test, the company didn’t offer any ancestry kits. The genetic age thing was a true revelation and it really helped me put some things into perspective and get my priorities straight. I just did the ancestry test and am currently waiting for the results. The whole procedure is very easy to go through and the information you get are really worth it. I started researching telomeres a couple of months ago and I found the whole science behind it quite fascinating. Honestly, I thought it was all a huge money-grabbing hoax before I “hit the books” but I can now see the logic behind it all. Needless to say my telomere length didn’t match my age and how could it with all the stress we’re going through every single day. I also got a blueprint that I should follow in order to get there though. Bottom line I’m following the recommendations and can’t wait to see my progress on the next test. Don't recommend. Bought advanced ancestry as a birthday gift (!). Was told it takes 6-8 weeks. After 6 weeks no follow up from the company. When I wrote to them, I was told in condescending tone that they notified me initially about 6-8 week processing time. Ok, after week 8 I have to follow up again (no communication from Teloyears!). Now I receive an email saying that their lab is too busy, and they don't even tell me when the results will come (birthday gift, mind you!). Ok, after week 10 still nothing from them, and not even a courtesy email. So we lost patience and requested a refund. And the funniest thing is, they deducted $20 (!!) of shipment cost, when it was clearly their fault - why accepting so many orders if your lab cannot process them in the time that you guarantee? When I sent an inquiry, they simply ignored my email. Never again, and don't recommend to others. There are so many companies these days who offer DNA testing, I'll definitely go to someone else. Incredibly accurate and useful. I warmly recommend regular testing, it can really help you understand what is happening inside your body and get on the right track.